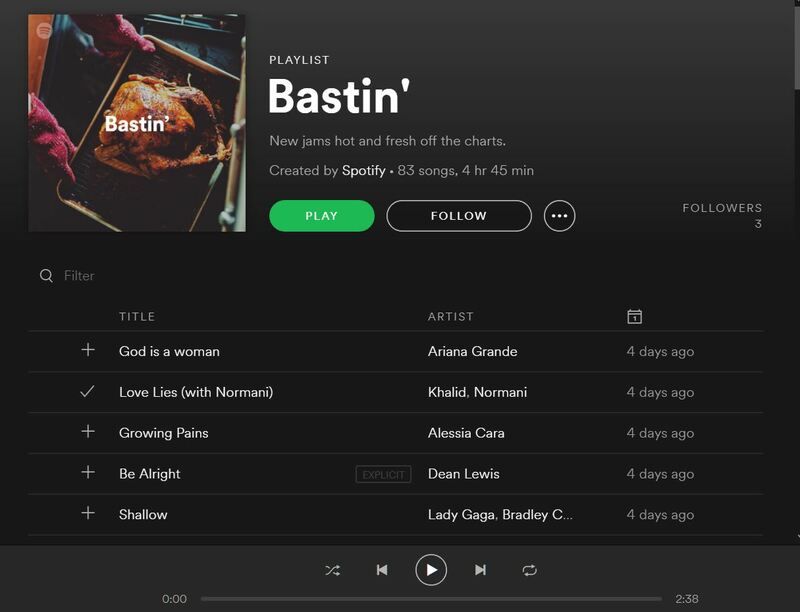 Thanksgiving can be a stressful time if you're in the kitchen, but Spotify wants to put your mind at ease with some delightful music. 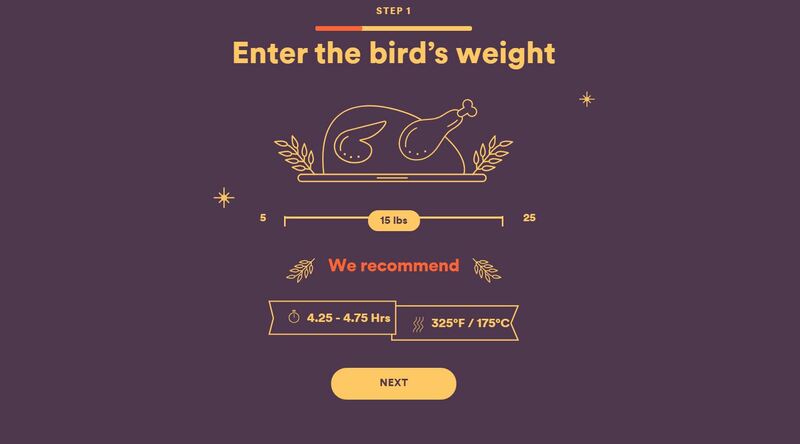 The music company has a "Turkey Timer" which lets you input in your Turkey's weight, if it is stuffed or unstuffed, and it puts together a long enough playlist to get you through the cooking time. For example, if your turkey is 15 lbs, stuffed, you're looking at about a four and a half hour cooking time, at 325 degrees in the oven. After establishing that, you can choose between different genres, from pop, Latin, and even country. From there, it puts together your playlist. 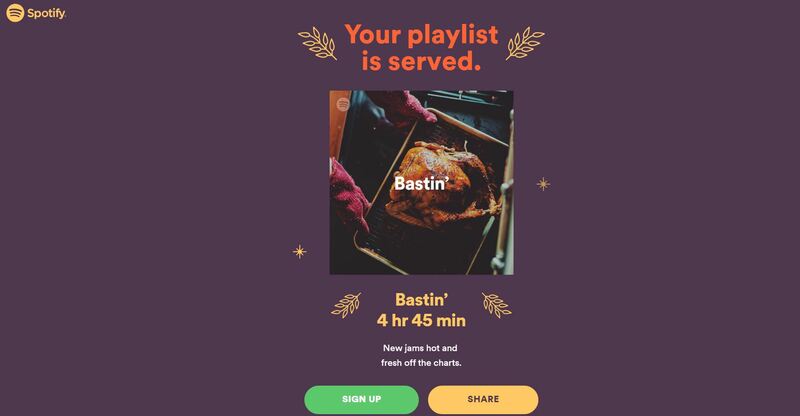 You have six playlists to choose from, and the length of it is adjusted to your turkey. For my 15-pound turkey, it put together an 83-song, almost five hour playlist of more continuous music than I ever care to listen to, but it's still neat. Once the playlist done playing, you know you have to open up that oven and pop out the bird.